Jill Grano, a 2017 candidate for Boulder City Council, is making her first run for elected office but to her, this run seems like a logical extension of her previous life’s work. She got involved with her student council in 3rd grade, volunteered at a nursing home in high school, studied political science in college, and continued with volunteer civic activities in Boulder, the city she hopes to represent as an elected official. “When I arrived in Boulder, I felt that I’d come to the city that aligned with who I am, in terms of our community focus, our environmental goals, and its eclectic nature. I knew I was home, and so I began to dive in as I do,” said Grano. Today, Grano is a realtor with RE/MAX Alliance, focusing on residential resale, and she says the vast majority of her buyers are young families that are first time homebuyers. It was a career she already had some familiarity with, since her father, brother, and brother-in-law were realtors, and it opened her eyes to Boulder’s housing difficulties as she dealt directly with people who were being forced out of the city due to high housing costs. Beyond working as a realtor, Grano serves on the board of Thistle Community Housing, an organization that focuses on affordable housing opportunities in Boulder County. She also took personal interest in mobile home owners in jeopardy of losing their homes due to tax liens on their property. She worked at the state level, and House Majority Leader and former Boulder City Council member KC Becker became the prime House sponsor of House Bill 17-1354, which in short allowed county treasurers to enter into partial payment arrangements with mobile homeowners, and allowed treasurers to withhold liens from being sold to investors. Grano even bought nine liens herself to keep the homes out of the hands of investors. 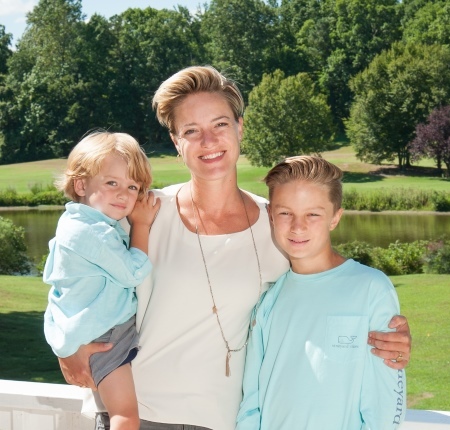 Grano grew up in Williamsburg, Virginia, and said her physical and family environment helped form her love of history. “I went to the same college as Thomas Jefferson (William and Mary)…My father was obsessed with the founding fathers, and we were sort of forced to watch documentaries on them as a kid. His license plate was JT 1607 (Jamestown, founded 1607). We’d visit Jamestown and Yorktown several times a year, and went to Washington D.C. multiple times a year. I understood how a bill became a law before I can remember,” said Grano. As mentioned above, she went to college at William and Mary, but visited Boulder during college and wanted to transfer to the University of Colorado, though the transfer was not in her cards. She was married young and became pregnant, and she earned her degree from William and Mary, but “as soon as we could” the couple moved to Boulder. Grano’s then-husband was an entrepreneur who started Folsom Custom Skis in Boulder, and Grano landed a job teaching civics with the Watershed School in Boulder. Grano served on the board of New Era Colorado, the youth voting advocacy organization, from 2009-14. During that time, she worked on issues including the disposable bag fee that eventually became law in Boulder, and the effort for Boulder to create a municipal electric utility. She was interviewed for this profile near the time when the Public Utilities Commission (PUC) ruled on Boulder’s application for the muni, but said the PUC’s ruling did not change her mind about whether Boulder should continue its effort. Her lengthy answer to the muni question included support for the muni’s potential role in decarbonizing Boulder’s electric use, and saying the city can continue to take action to reduce greenhouse gas emissions on its own while pursuing the muni, such as incentivizing solar installations or supporting green building practices. Grano said one unique characteristic that she holds among this year’s candidates is her depth of understanding on housing issues, and she shared some ideas for increasing housing supply and keeping some semblance of affordability in town. For examples, she would consider allowing the building of housing units above commercial or industrial buildings, and she said in a separate question that she supports Boulder’s existing height limits. She said the Wilderness Place area near Foothills and Valmont could be an ideal place to explore such an idea, since it is near transportation corridors and bike lanes, has nearby amenities, and has a fair amount of single-story buildings to potentially build on top of. Grano also supports adding some housing to low-density neighborhoods through relaxing restrictions around Accessory Dwelling Units (ADUs) and Owner Accessory Units (OAUs). “I believe they’re (ADUs and OAUs) going to have a naturally lower price point, because they will be basement apartments at 1,000 square feet, or above garages at 500 square feet. I don’t think, especially if we work out parking correctly, that it will have much impact on neighborhood character, but it will help people stay in homes and increase our rental pool,” said Grano. Thistle Community Housing offers affordable homeownership opportunities, and uses the Community Land Trust (CLT) model in which a nonprofit owns the land but homeowners own their buildings. Grano supports exploring additional opportunities for CLTs so more Boulderites could reap the benefits of homeownership, and favors relaxing asset caps so older or retired residents can still qualify for affordable housing even if they acquired assets above current caps during their working lives. Grano is an openly gay woman who is raising two sons. If elected, she would be the first openly gay Council member in decades, and mentioned that she has taken a strong interest in social justice issues that she intends to carry with her to Council. Also, she believes that having young children brings a unique perspective on safety issues and other topics. “People have called me a crossover candidate, because I don’t fit neatly into boxes of the traditional Boulder interest groups, but I feel I know a lot of people in my generation who are exactly where I am on the issues, and I’m excited to bring that voice to Council,” said Grano. As of September 27, Grano was one of the five candidates who received endorsements from Better Boulder, Engage Boulder, and Open Boulder. She also received an endorsement from the Sierra Club. Also as of September 27, Grano has received $100 maximum donations from Council members Aaron Brockett and Bob Yates, former Council member Leslie Durgin, and many others.